New Delhi: In a unique initiative, the Indian Institute of Technology, Madras (IIT-M) started ‘Shaastra Sparsh’ that inspires high school students in and around Chennai to explore beyond what they study in text books. 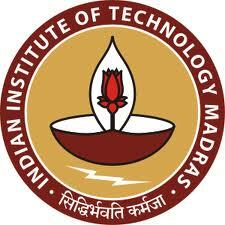 The name of the event comes from ‘Shaastra’ the annual technical festival of IIT-M. This year, the theme of the event was ‘Copyrights and Intellectual Property issues’ – which is one of the most sensitive issues in the world. To add fun for students, logo quizzes were conducted and real-time examples on copyrights were discussed. The event made engineering interesting. It imparted practical knowledge to students and also told them about different options in Engineering students can opt for. It even included workshops on Robotics and Mechanics and made them simple for students. Aditya, a second year student of EEE at IIT-M, led the event with his team of eight members with an aim to familiarise students with engineering and venture beyond school studies.